Hey Everyone! I have some exciting news for you all. Or at least it is exciting news for me! 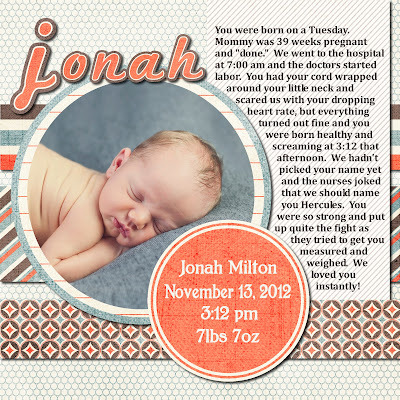 As most of you know I have a LOVE for digital scrap booking. I actually love all things digital. 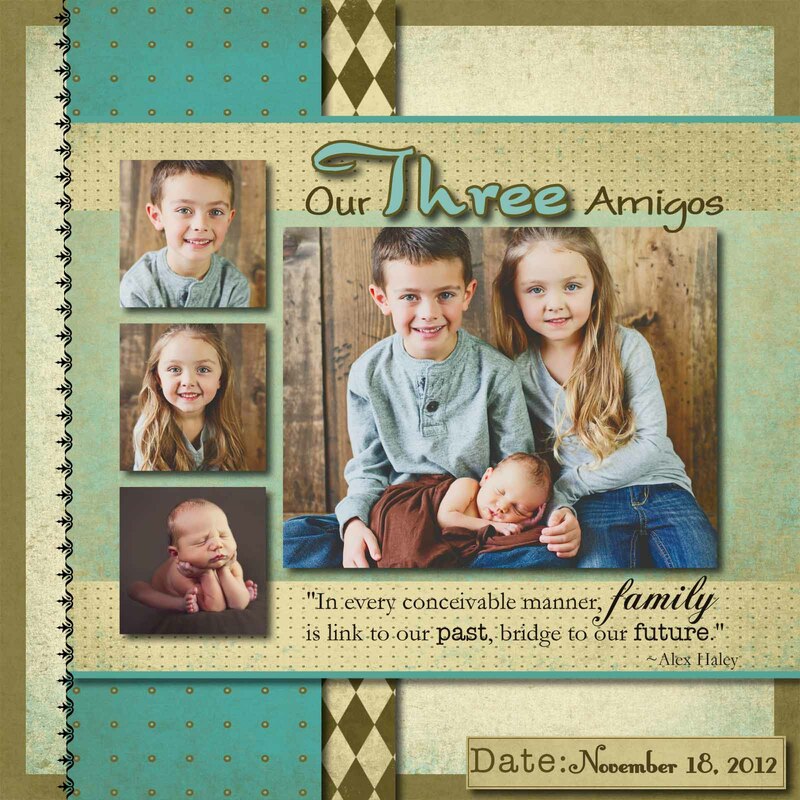 Plus I love making crafts and printable and other such stuff using cute scrapbook kits. Well, my cousin is the owner of the fabulous Design House Digital and she has invited me to be "decorator" on her site! What this means is that I will be making layouts to showcase new products, participating in challenges, and guest posting on their blog from time to time. So... I though it would be fun to drop in here every once in awhile to show you guys some of my latest layouts or let you know if they anything fun is going on. So... here are a couple of my latest layouts that I'm particularly pleased with. Its been super fun to have the extra push to get some scrapbooking done! If any of you are interested in going digital I would recommend taking a look at DHD. Its a great place to find cute kits and they have ton of tutorials on their blog to get you started. They also have weekly competions you can enter into to win free products! And if there are any questions I can answer for you please dont hesitate to ask! And one last thing, I'm actually over a DHD guest posting today! Head on over and say hello to get a great new recipe and and even a recipe card! Just save the image and print! So I am almost done with Jonah's nursery. There are two more things I plan to add before I share the whole reveal, but as a little teaser I thought I'd share a couple things I made recently for the room. First, my neighborhood group got together for a craft night the other day. One of my neighbors had picked up a 9 opening shadow box frame for us all to do. I have to admit it took me awhile to decide what to do with it! 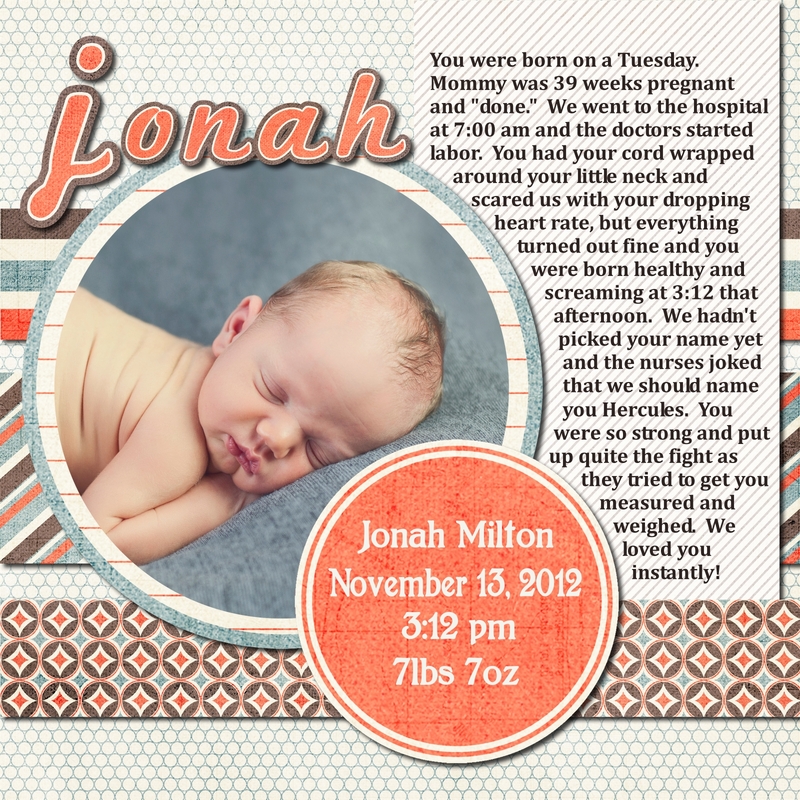 But I decided to take it and make a "stats frame" for Jonah. It turned out super cute! I then got super lucky and found these wood tiles from Micheal's that fit into each square perfectly. I love it when things work out like that! Then you can arrange your tiles. I ended up using clear silicon to glue each tile in place. They look so cute on his shelves! And speaking of cute things on his shelves... aren't these woodland creatures the cutest?! We found them at Pier1 Imports awhile back. Love them! Anyway, that's it for now. The whole nursery reveal will be coming soon! One of my new years resolution was to get back on track with this little ole blog here. I'm already a little late starting but I'm ready. So I had this brilliant idea for a Valentines Wreath. My hubby gently suggested I just go down to the storage room and use one of the many down there, but whats the fun in that?! So here is this years Love Day wreath. Isn't it fun?! My mom said it looked a little like something out of Victoria's Secret, (and it totally does) but I love it! I think that it has a very "valentines" look to it without the traditional colors. And it was very simple to make! All you do is wrap a black feather boa around a foam wreath form. Then find some "love note" scrap paper and modge podge it to a heart. I also added a few jewels and some glitter to the heart. Add a big old bow and hang the heart from the wreath with a little ribbon. I got all my supplies for this beauty at Micheal's. So tell me, do you put up wreaths for every holiday?